Ah yes! It’s time for one of the most fun posts for me to write – my very own current covets for the holiday season. Admittedly quite a few of the items on my actual (longer) list are things I’ve curated for this very blog over the past year, so you won’t find ’em as repeats here, but these 10 items are all amazing gifts I’d absolutely be delighted to open up come Christmas morning – as I’m sure you would too! I don’t want to overstate things, but I had the chance to try a few Ren products this past month and it was sort of like…’Where have you been all my life?’ Cause these ones? They’re game changers people! The brand is focused on skincare for both the face and body, with an impressive collection of products that use plant-based and mineral actives to give your skin a workout and restore it to its most impressive shape. With a massive range of products and mini-lines designed to target all sorts of challenges (from anti-redness to wrinkle relief), it’s a snap to find the right products for your skin calamities. My personal favourite? The Wake Wonderful mask, which you apply at night before going to bed. Honestly every single time I use it I’m stunned at how radiant my skin looks the next a.m. – and the very fine lines in my forehead are all but gone! Needless to say, I’m curious to try even more Ren products now that I’ve experience their magic. I’m a sucker for personalization and a massive fan of traveling. Naturally, this gift idea totally speaks to me. Crafted by The Weekend Store (which can also be found on Etsy, where they’ve sold 2,000+ items! ), these custom lockets use real map clippings to highlight your name. If you can’t find your name from the dozens they have available, you can still submit it and they’ll try to track down a place in the world that bears our moniker. Available in three different pendant styles, these chic lockets make excellent, personalized gifts that any gal on your list will love. Alternatively, The Weekend Store also has a pretty extensive lineup of items like personalized cufflinks for the guy on your list, and regular destination necklaces when you want to keep a place like home close to your heart. First off, I’m very excited that this delightful haircare brand actually hails from Canada! Based in Toronto, this hot new brand just hit the shelves this past year and has already won over stylists, celebs, and everyday women. Their signature secret? Their Signature Exotic Tea Complex, which combines multiple types of tea to deeply penetrate the hair and give it bouncy, beautiful shine and volume. The line so far consists of five core products – shampoo, conditioner, an incredible hair mask, styling cream, and their other star product, the Enhance Ritual Biphasic Infusion, which is designed to be spritzed on before heat styling to tame frizz and give you salon-quality locks. As I hinted at, the mask is my favourite of the bunch – having used brands like Moroccan Oil in the past, I have to say that Pai-Shau’s leaves my hair glossy, smooth, and more lightweight. Best of all, it’s vegan, gluten-free, and contains no parabens, sulfates, phosphates, or added sodium chloride. You can buy the products individually, but they’ve also launched a Ritual Box for a bargain $60 USD, which contains smaller sizes of their core products so you can give it a whirl without investing too heavily. Trust me, one or two washes and you’ll be adding these hair products to your wish list! I love me a good jacket for running (not literally) around town – and this stretchy, flattering lululemon jacket is just the ticket! Made from the brand’s signature uber soft Luon fabric, this sleek little throw-on jacket features a flounced hem, extra-long sleeves with thumbholes, and unique embroidery that gives it a nice cut overall. You could in theory wear it for actual jogging or other physical activity – the LYCRA fibres help it stretch and contour to your body – but it’s just as useful for a quick jaunt from the car to the grocery store, or having on hand for when the office gets chilly. A year doesn’t go by where I don’t fall hard for a lululemon product, and this one has got me wishing big! As a heads up, you won’t be able to pick up this beauty till December, so keep a close eye on the lululemon New Arrivals page! I wrote about the adult colouring book trend earlier this year, and actually featured Johanna Basford’s first two perpetually sold out titles in that post. Well lucky me, it appears Ms. Basford has been busy working on her third elaborate and whimsical entry into the colouring book game with this stunning book that focuses on stunning seascapes. From delicate jellyfish to pristine coral reefs, this charming book features intense levels of detail (to the point where some of the designs might take you a very, very long time to complete) that Johanna Basford has become known for. There’s also a game element again as you’re challenged to spot certain objects throughout the book. It’s more gender-neutral than some of Basford’s other books and is an excellent gift idea for anyone that either loves to colour, needs a stress outlet, or is simply a talented artist looking for another creative outlet. I recently got the new iPhone 6S in Rose Gold and I am quite obsessed with it. I was on the hunt for a new protective case when I came across Casetify, which prides itself on working with independent artists to create stunning snap-on iPhone cases that are easy to install and remove. More importantly, they’re also tough! They’ve drop tested their cases from 4 feet onto direct concrete and indeed, your $600 phone will be protected with one of these beauties. The biggest challenge then, is determining which ones to actually buy…cause when I first started perusing their site (which handily allows you to ‘model’ cases based on your iPhone colour) I kept on opening cases in new tabs that I wanted to look at closer, only to realize I had something like 30 tabs open. You can even customize your own case, with free global shipping! In short my friends, the choices, they are many – whether you want something graphic, motivational, girly, glamorous, translucent (to show off that rose gold colour! ), hip, quirky or eye-catching, Casetify quite literally has you covered. Best of all, they offer *free* worldwide shipping! SPECIAL OFFER: Use the code BRITTANY15 at checkout to get 15% off your order until January 15, 2016! Are you like me? Does your sense of smell overwhelm your impressions of a place or your mood? This sleek diffuser is an excellent way to transform the scent of your space without chemicals or heat. Simply add in a half-cup of water and a few drops of your aroma of choice and the machine will automatically mist the air with a fresh scent. It lasts for an amazing three hours and you can flip on the lights for a soothing light show. I love this gift idea for anyone moving into a new home this holiday season; they can easily make it smell like everything from mulled apple cider to fresh pine! I think holiday dressing can quickly veer into ticky tacky territory – but there’s plenty of ways to look and feel festive without defaulting to an ugly Christmas sweater. Each of these dresses from Canadian online indie boutique Ever Rose hints at the holidays in their own special way. The ruby-printed Crown Jewels dress is a great and affordable way to hint at ‘sparkle’ without actually wearing anything glittery. The deep red Lovefool dress is just this side of precious, with a fun drop-waist pleated skirt and subtle heart print. And the Pieces of Me Dress is flat out warm, made from a fuzzy Scandinavian-print fabric and featuring long sleeves to keep you toasty come Christmas Eve. They’re just several of many items I’d love to unwrap the gifts on my wish list in! Handcrafted in New Brunswick, Olivier Soaps prides itself on classic workmanship and wholesome ingredients to lavish your skin instead of leeching it. In fact, their ingredients are as common as olive oil, cocoa butter, and beeswax, with fragrant and essential oils added in sparingly. The brand itself is historical on multiple levels – they began in 1996 with a simple soap recipe that had been handed down for generations. Today, traditional soap making traditions are alive and well as the Olivier Soapery hosts thousands of people annually that want to witness the intricacy of creating good quality soap up front. The result? Ultra mild soaps with ultra wonderful benefits for the body – sign me up! They also carry cool accessories, like the magnetic soap hook you see above – just wet the soap and gently press it into the hanging rack; no more grimy, oily soap residue on your counters! BONUS: Take 10% off your Olivier Soaps order between November 12 – December 1 when you enter the code ‘CGG1115’ at checkout. Offer cannot be combined with other specials. Motivated? Here’s how to enter! 1) First & foremost: you must be a subscriber to the Canadian Gift Guide to enter this giveaway. It’s as simple as finding ‘The Gift of Gab’ box in the righthand column and dropping in your email or clicking follow. Then leave me a comment below by November 22, 2015 telling me what items featured in this post on my wish list would make it on your wish list! 2) Entries are limited to one per person / per email address / per household (or more if you score bonus entries). A random draw will be conducted on or around November 23, 2015 to select the winner, who will have 48 hours to respond before another winner is chosen in their place. 4) Bonus Entries: Do as many or as few of the following as you like. For each social media interaction leave a separate comment with proof – namely links – that you’ve participated. For example, share a link back to your Tweet, Instagram photo, or wall post. If you’re unsure how to do it, there are plenty of easy online tutorials! Ren Skincare – Follow the brand in Instagram and either regram one of their photos and share an original photo from their site (screenshots are a handy way to do this). The Weekend Store – Like the brand on Facebook and leave a comment on their wall regarding your favourite item from their shop. Pai-Shau -Follow the brand in Instagram and either regram one of their photos and share an original photo from their site (screenshots are a handy way to do this). Penguin – Follow them on Twitter and Tweet about the giveaway, tagging them, me (@cdngiftguide) and linking back to this post. Casetify – Follow them on Twitter and Tweet about the giveaway, tagging them, me (@cdngiftguide) and linking back to this post. Benefit -Follow them on Twitter and Tweet about the giveaway, tagging them, me (@cdngiftguide) and linking back to this post. Olivier Soaps – Like them on Facebook and leave a comment on their wall regarding the product of theirs you are most interested in trying. You’re under no obligation to mention the CGG. Clair de Lune – Like them on Facebook and leave a comment on their wall regarding the EdenSpa diffuser and why you’re interested in trying it. You’re under no obligation to mention the CGG. I love the “pieces of me” dress. Love the Weekend Store Florentine Map Name Locket ! Ever Rose Crown Jewels Dress – $52 / Lovefool Dress – $85 / Pieces of Me Dress – $105 – these are great! I love the map name locket! It would make a perfect Christmas gift! I have been wanting a locket like that for sooo long. I am an avid adventurer and traveller whether it be near or far and that so suits me. Although that is my fav the others are pretty high contenders too. I am a subscriber. I LOVE the lululemon Hustle In Your Bustle Jacket. Omg this is an awesome list! Okay so I love the Benefit make up palette! The colouring book is fab too. Also I love the soaps. Amazing wish list! I am planning to buy Johanna Basford’s adult colouring book, The Lost Ocean, to a friend of mine. I would gladly add it to MY wish list! What an awesome list! I super love the colouring book, the diffuser, and the soaps. Something for everyone! I subscribed, abd i would want the Ultrasonic Diffuser – clean nice smelling sir sounds great. The Johanna Basford colouring book and the Olivier soaps. I so enjoy a nice hand made soap. For me the things we would both have on our lists is: ren skincare, lululemon jacket, lost ocean colouring book and edenspa diffuser. All great items. Wow again, you can pick them! OLIVIER soaps are wonderful. That seems like a nice gift to win. I love the Benefit set and the Olivier soaps! Hard to pick just one, I think my pick would be the Lovefool dress (so pretty! ), but the POREfessional set and the Olivier Soaps are pretty awesome too! I love Ren skincare and the Pieces of Me dress! I would love the Edenspa The Cloud Untrasonic Diffuser. I love nice scents and having natural ones wold be great. Edan spa diffuser – I love using essential oils this would be perfect. An adult colouring book is on my Christmas list. I have never heard of Oliver Soaps before, but I love the idea of hanging the soap so it does not grim up the counter. That is genius! I want it! The Lovefool Dress would be on my wishlist! I’d love the Lululemon jacket. My list will contain the Eden Spa Cloud Ultrasonic Diffuser and the Ren Skincare. Benefit’s Life of the Party! Makeup Palette is going on my wish list! Such great value in gift sets! Awesome contest! I love the Bespoke Name Lockets. Love the dresses, diffuser and skincare set. I love the Lulu jacket you have pictured and also the 3 Handmade Olivier Soaps for our bathroom! The Lovefool Dress is sweet. The EdenSpa Cloud Ultrasonic Diffuser would be my first choice. I like the Benefit’s Life of the Party! Makeup Palette the best! Olivier Soaps are on my wishlist! I love hte Ever Rose dresses! I love the lululemon hustle in your bustle jacket, so stylish! I am a Canadian Gift Guide subscriber and I would love to have the Eden Spa-The Cloud Ultrasonic Diffuser. OMG, your posts just keep on getting better. I’m loving the REN skincare products and the Pai-Shau hair products.And the magnetic soap hook – genius. Like Olivier Soap on Facebook and commented on their wall. I love the Pai-Shau’s 5 Signature Products ! Love all of these but in particular the LuLuLemon Jacket! Love this list of items, and I would really enjoy the Lululemon jacket and the Lost Ocean book. I love the EdenSpa: The Cloud Ultrasonic Diffuser. It is deffinitely going on my wishlist!!! The locket is my favourite! These are the products that I would love on my wishlist – Ren Skincare, Edenspa Diffuser and EverRose Crown Jewels Dress. The Olivier Soaps look wonderful, lovely to put out for guests! I like all of your picks! The only thing I couldn’t use are the phone cases, since I don’t use a mobile phone. My favorite item is the Benefit Life of the Party! Makeup Palette. All I Want For Christmas https://t.co/3zgPwlIkOR via @cdngiftguide. Check out the great giveaway featuring @PenguinCanada! The EdenSpa diffuser is my favorite! I would definitely have the EdenSpa The Cloud Ultrasonic Diffuser on my christmas list this year! Those coloring books by Johanna Basford! They look so beautiful and fun. The Hustle in your Bustle jacket is going on my Christmas list. The Pai-Shu Hair products make me weak in the knees w/ longing. I’m a sucker for good hair improvement products. The Cloud ultrasonic diffuser has just gone on my list! Looks amazing! I love the Pieces of Me dress. The lululemon jacket is my fave!! EdenSpa: The Cloud Ultrasonic Diffuser would be lovely to have. 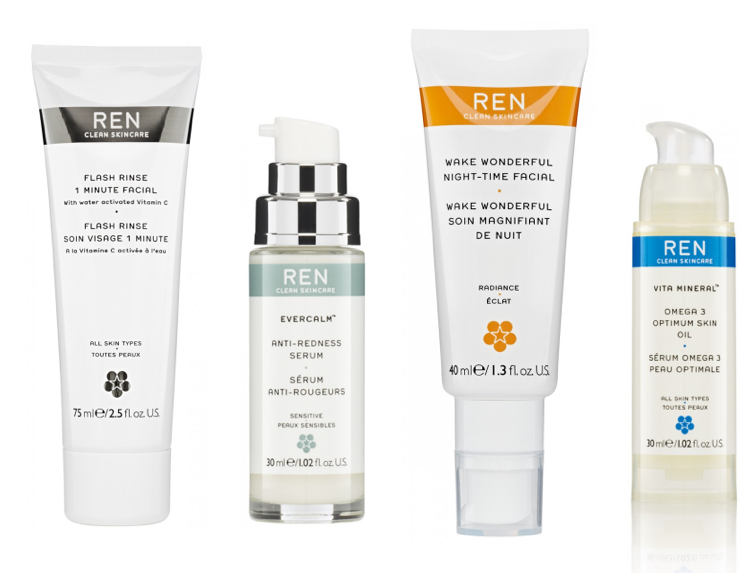 The Ren Skincare’s Wake Wonderful Mask would be great! My favourite is the Benefit palette. Oh, I love the Bespoke Name Lockets! Thanks for helping me to find the perfect gift for someone on my list. I’d love the EdenSpa: The Cloud Ultrasonic Diffuser. A Diffuser is already on my wishlist this year. I’m already a subscriber. The items that would make it on to my wish list are the The Cloud Ultrasonic Diffuser (I love different scents, and own lots of aromatherapy oils, and this would be a great way to use them), and the LuluLemon Jacket (I love the flouncy design – it’s unique). I like the Lululemon Hustle In Your Bustle Jacket. I love the map name lockets. I love the Pai-Shau hair products. I would love any of them but I would probably use the Lou Lou Lemon Bustle jacket the most often. The ultrasonic scent diffuser is cool too. The Benefit Life of the Party! Makeup is definitely on my list. Some awesome gifts listed here! I would be really excited if I received the EdenSpa Cloud Ultrasonic Diffuser, have been searching for a great diffuser. The handmade soaps have made it on my wish list. The Lululemon Hustle In Your Bustle Jacket would make my wish list. Followed Penguin Canada and tweeted. So many good things! The makeup palette, the skincare and the diffuser. The colouring book and the lockets would be on my wish list! I love those map name necklaces, adore the lululemon Hustle In Your Bustle Jacket – $118 as well as the Pieces of Me Dress. I really want the Lost Ocean colouring book! I have a couple adult colouring books already but none are as detailed as Lost Ocean is. The Benefit’s Life of the Party! Makeup Palette is awesome as well! I am a subscriber. I would have the Pai-Shau’s 5 Signature Products, Casetify iPhone Case, lululemon Hustle in Your Bustle Jacket and the Lost Ocean colouring book on my wish list. I live the Ever Rose dresses. On my wish list are the Pai-Shau haircare products, the Lost Ocean colouring book, the Benefit Life of the Party Makeup Palette and the lululemon Hustle in your Bustle jacket. The lockets are really neat! I’d love to be gifted the 3 Handmade Olivier Soaps ! The Weekend Store Florentine Map Name Locket, Benefit’s Life of the Party! Makeup Palette would be on my list. Oh my gosh, everything is wonderful. The Ren 1 minute facial would be fantastic, but I also love the pieces of me dress. The Bespoke Name Lockets are so cool. Err, I think all of it makes my wish list :0 But I’d single out the Ren anti-redness serum, the Lululemon jacket, and the Lost Ocean colouring book. I love the “pieces of me” dress. Thank you. I would wish for the lululemon jacket for my granddaughter for Christmas. I subscribe! I really like makeup palette. The bustle jacket would be at the top of my list. It’s the perfect cut for my hourglass shape. I’m a subscriber to the Canadian Gift Guide. Of the items featured in this post, Ren Skincare Products, lululemon Hustle In Your Bustle Jacket, EdenSpa: The Cloud Ultrasonic Diffuser & the Olivier Soaps (with magnetic hook) would make it on my wish list! Good golly, Miss Molly. My fave: pieces of me” dress.. Divine. Thank you for the awesomeness, the contest, and generosity. 🙂 Prize perfect for my aunt’s big BD gift. I’d love to see the lulu lemon jacket, the benefit cosmetics, and the name locker under my tree. The Casetify iPhone 6s cases would be on my wish list ! What I like the most the EdenSpa Cloud Ultrasonic Diffuser. I really like the The Weekend Store Florentine Map Name Locket, it is really unique. The Ren skincare and the diffuser! My Wish List includes the Pai Shau hair products with Signature Exotic Tea Complex. My hair needs some pampering to restore bouncy, beautiful shine and volume. I also love the Eden Spa Diffuser and would love one for my home as well as it makes a fantastic gift. I want Johanna Basford’s Lost Ocean colouring book. Love the bespoke name lockets. The lululemon jacket and the diffuser would be amazing gifts! Benefit’s Life of the Party! Makeup Palette would make it on my wishlist! I’ve liked the Weekend Store on facebook and left a comment on their wall. I’ve been wanting a colouring book for ages. Lost Ocean is now on my wishlist. I love the LULUEMON jacket. The REN skincare products would definitely make my list! Ive only ever tried deluxe sample sizes but Ive loved everything Ive tried from the glycolic exfoliating mask to the firm up beauty shot! The Lululemon Hustle In Your Bustle Jacket is on my wish list! Hope Santa is reading this! I’d love to have the EdenSpa The Cloud Ultrasonic Diffuser! The two items that are featured in this post that I’d love are The Weekend Store Florentine Map Name Locket, and the EdenSpa Cloud Ultrasonic Diffuser! I’d like to get the Lost Ocean. I just picked up her other two books in postcard format. Love the name lockets. super cute and personal. says I took time to find something just for you. love that. I love the bespoke name locket. So original!! I want to try the Pai-Shau Hair Products. That Lulu jacket definitely makes my wishlist. Love it! Ever Rose Crown Jewels Dress, Absolutely Beautiful! I really like The Weekend Store Florentine Map Name Locket. I like the cloud diffuser from Claire de Lune! The 3 Handmade Olivier Soaps would be lovely! Benefit’s Life of the Party Makeup Palette would be fun to use. I am absolutely putting the Lululemon Hustle In Your Bustle Jacket on my list! The Lululemon Hustle In Your Bustle Jacket would definately make my list!! The lululemon Hustle In Your Bustle Jacket would be on the list. The Olivier Soaps are gorgeous. They probably smell nice, too. Wow, it’s SO hard to choose what I would want the most here! 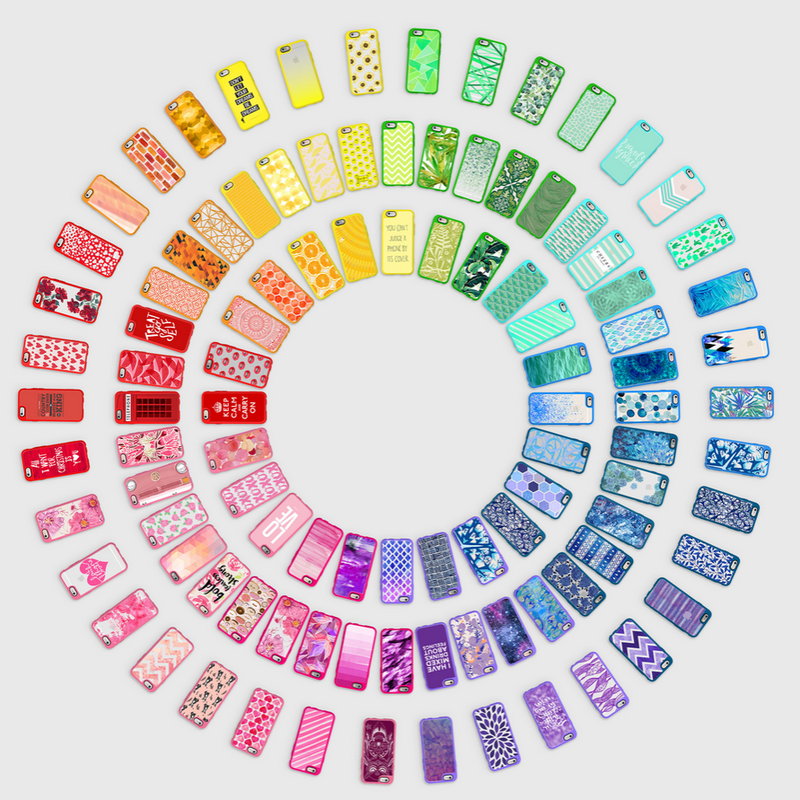 I think I’m going to have to go with those beautiful phone cases though, just stunning! I would just love this prize, merry christmas to me! The adult colouring book! I have wanted one of those for a while! The Olivier soaps and the Lululemon jacket are top of my list. I love paishau, I am presently using this product on a film set. Love the protection, shine, overall health of the hair….and the Talent Love it too! Received samples through a company that almost carried it. Would love to be able to get more. Lost Ocean colouring book, I love the dresses and the diffuser as well. I love it all, but especially the lululemon Hustle In Your Bustle Jacket . This one will make it onto my list. Thanks for the giveaway. Such a wonderful assortment of gifts, but my favourite is the Pai-Shau’s 5 Signature Products for my hair. Would love and need the Ren Skincare products! I’d love to try the Pai-Shau Hair Products – and I agree it’s awesome they are Canadian! The Lulu Lemon jacket for sure. My favourite is the Lost Ocean colouring book. i love Lululemon and they are very expensive so that would be 1st . Ren skincare and the olivier soaps . I love that super cute lululemon jacket! I’m a subscriber and I adore the Ever Rose Crown Jewels Dress! What a great wish list, I love them all! The ones that would top my list are the Bespoke Name Lockets, the EdenSpa Diffuser, and the Pieces of Mes Dress.. I am a subscriber. I am most interested in the 3 Handmade Olivier Soaps.